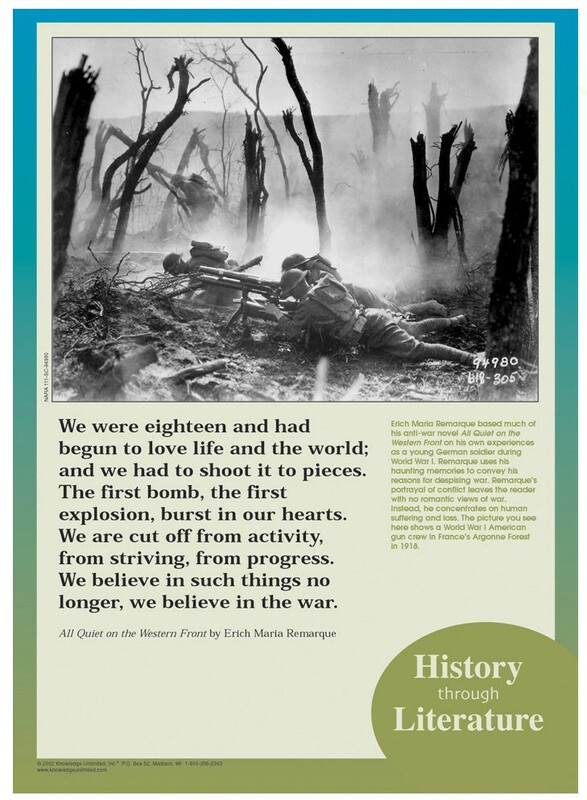 This poster connects Erich Maria Remarque's novel "All Quiet on the Western Front" to the period in history in which the novel took place. 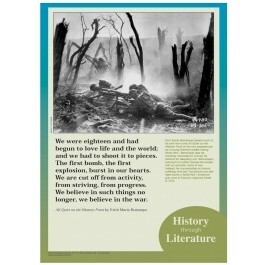 The poster contains a historic photo showing a World War I American gun crew in France's Argonne Forest in 1918, along with explanatory text that illuminates the connection between literature and history. It also contains a quote from the classic novel.